FLORHAM PARK, N.J. -- Sheldon Richardson guaranteed a Jets' victory in New England Sunday -- with one important caveat. 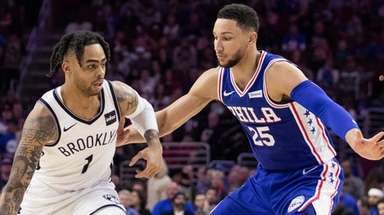 "This is going to be another win in the win column if we get out there and execute and do what we're supposed to do," Richardson said Thursday. But doing what you're "supposed to do" is easier said than done, especially when you're facing Tom Brady and the Patriots (5-0), who are averaging a league-leading 36.6 points a game. But the Jets (4-1) and Richardson are confident in their ability. "We're going to be up in the division, that's how we're going to look at it. We're going to be the front-runners, that's how we look at it," said Richardson, who made his season debut against the Washington Redskins last week after serving a four-game suspension for violating the league's drug policy. Richardson did point out that defeating the defending Super Bowl champs won't be an easy feat on the road. "We stack up well, but they always find a way when they're not stacked up well to find a way to win anyway," he said. "Them losing a left tackle, it doesn't end up being another void because they pull out another one."